Magnolia Lane Luxury Holiday Apartments in Twin Waters on the Sunshine Coast features a selection of fully self contained and spacious 1, 2 & 3 Bedroom Apartments with stunning panoramic views over the championship Twin Waters Golf Course. All apartments at Magnolia Lane offer 4 star amenities and facilities. Hole 1 on the golf course is just a 30 metre walk away. The beach is merely 5 minutes away. 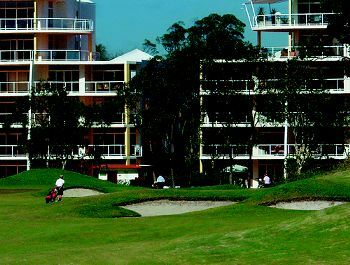 Magnolia Lane Luxury Holiday Apartments by Maroochydore and Noosa on the Sunshine Coast are spacious 1, 2 or 3 bedroom accommodation giving uninterrupted views over the 9th fairway & green of the Twin Waters Golf Club and surrounding lush tropical environment. 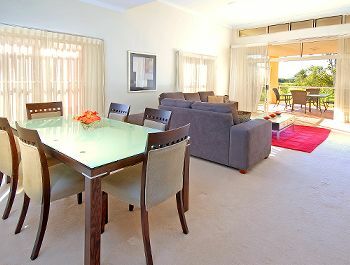 4 Star luxury apartments with magnificent views up to Mount Coolum. 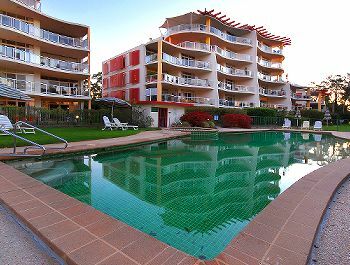 The complex is complete with pool, spa and barbeque areas all set in magnificent tropical & lush gardens. Whether on a family/friends holiday or for a special event/weddings, Magnolia Lane Luxury Holiday Apartments offer the finest in Sunshine Coast Holiday accommodation.